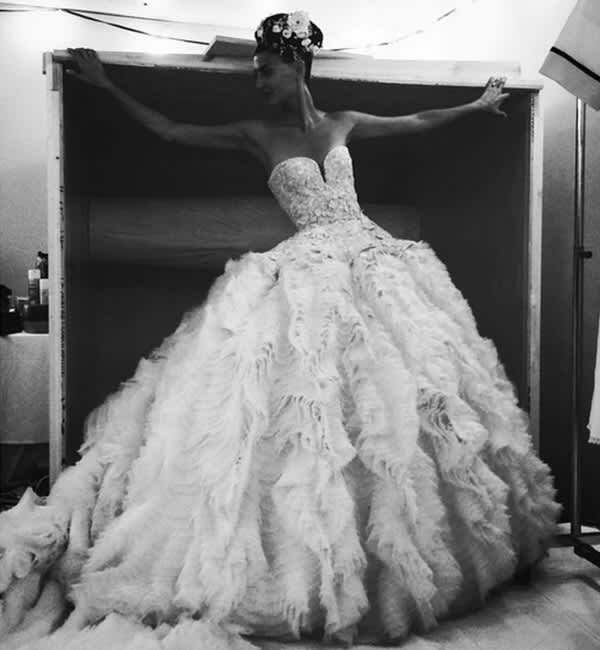 Giovanna Battaglia dazzles in Alexander McQueen wedding gown as she weds Oscar Englebert | HELLO! June 11, 2016 - 14:51 BST hellomagazine.com Giovanna Battaglia looked stunning in a lavish Alexander McQueen wedding dress as she wed her fiancé, Swedish realtor Oscar Englebert. Giovanna Battaglia looked stunning in a lavish Alexander McQueen wedding dress as she wed her fiancé, Swedish realtor Oscar Englebert, in a spectacular ceremony at the Punta Carena lighthouse on the Italian island of Capri. The fashion editor's custom McQueen dress had an elaborately embellished fitted corset with an incredible frilled skirt with a long train, accessorising her stunning look with a long veil. The bride wore her long brunette hair in a sleek high bun, and decorated the look with white flowers, matching her bouquet of white roses. She also posed for photos with a matching white embroidered parasol. Fans of the Italian-born stylist were quick to praise her stunning gown, with one commenting: "So gorgeous," while another wrote: "When I get married I'm gonna wear this dress." 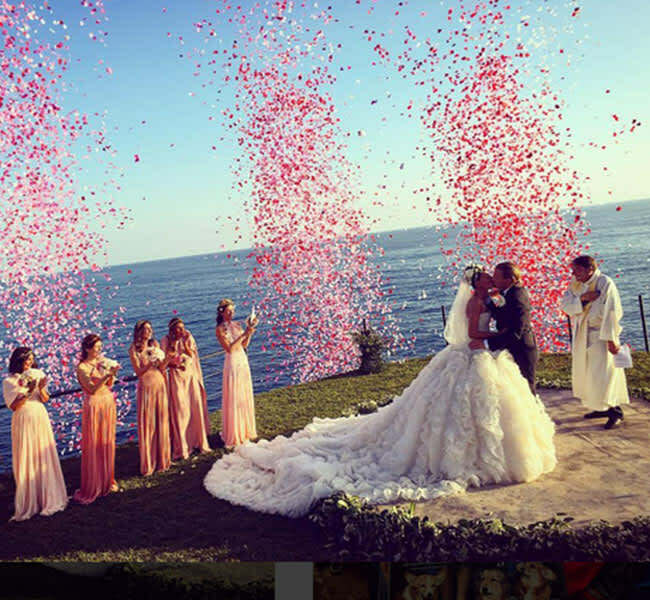 On saying their vows, heart-shaped confetti was released into the air, and wedding guest New York Times bestselling author Derek Blasberg posted a photo of the moment on Instagram, writing: "LOVE IS IN THE AIR!#gioandoscar"
Her six bridesmaids wore matching, loose summery gowns in a variety of pale colours from pink to peach, and were seen cheering as they witnessed Giovanna and Oscar's first kiss as a married couple. The couple then celebrated with an after party, in which Giovanna changed into a short, white dress made up of laced flowers, with matching over-the-knee boots as the couple cut their amazing wedding cake, with Oscar fed to Giovanna before fireworks began. The celebrations began on Thursday when the pair enjoyed a rehearsal dinner at Piazza Umberto, where Giovanna wore a white Alaia dress with a feathery skirt. Is Princess Eugenie giving us a major clue about her wedding dress with her Ascot wardrobe?